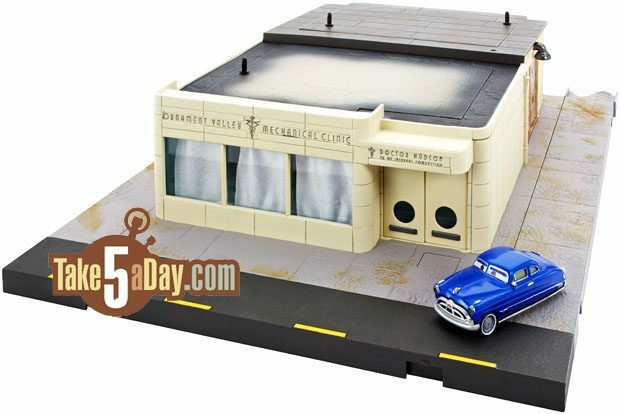 Thanks, “GetMeCollectibles” & “PaulsMartStore,” or the early look at the Precision Series Doc Hudson’s Ornament Valley Mechanical Clinic Playset – scheduled for January 2019 but could arrive earlier (or later) – no pricing yet but they guess that based on the sized, priced around what Lizzie is priced at @$110? 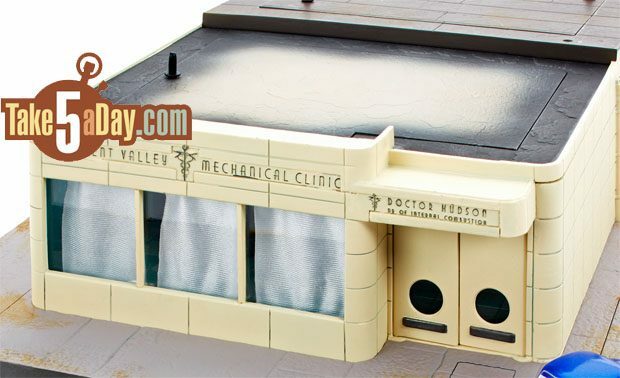 The roof pieces lifts off so you can place CARS inside. 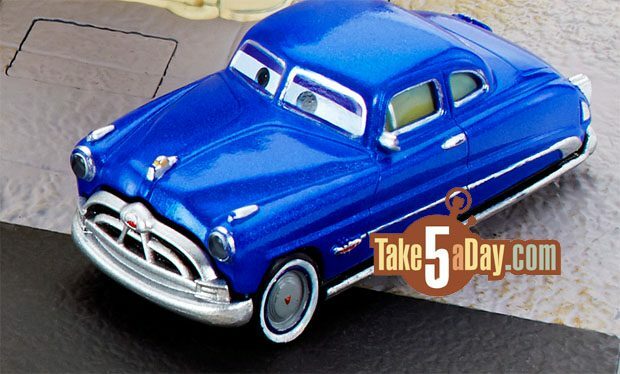 Side back doors where Lightning McQueen snuck in to see that Doc Hudson was once the Fabulous Hudson Hornet. Front doors also open. Hard to tell what lights up but I presume the front signage plus the little bulb over the back garage doors? As usual, the included single with the playsets comes with headlamps. The numbering was never sequential in order of release. At D23 2015, they announced there would be 13 townie playsets + accessories (roads, trees, etc …). 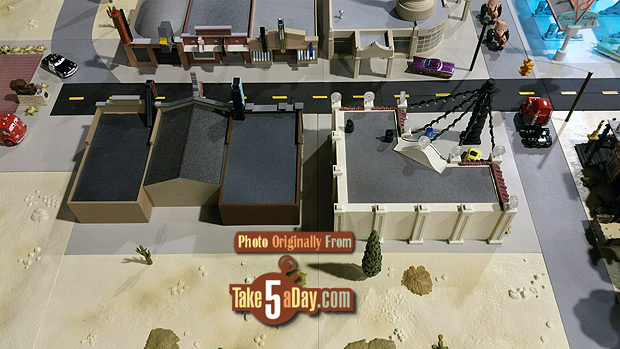 The townies playsets they showed off included the mini stores between Luigi’s and Ramone’s & the Courthouse. 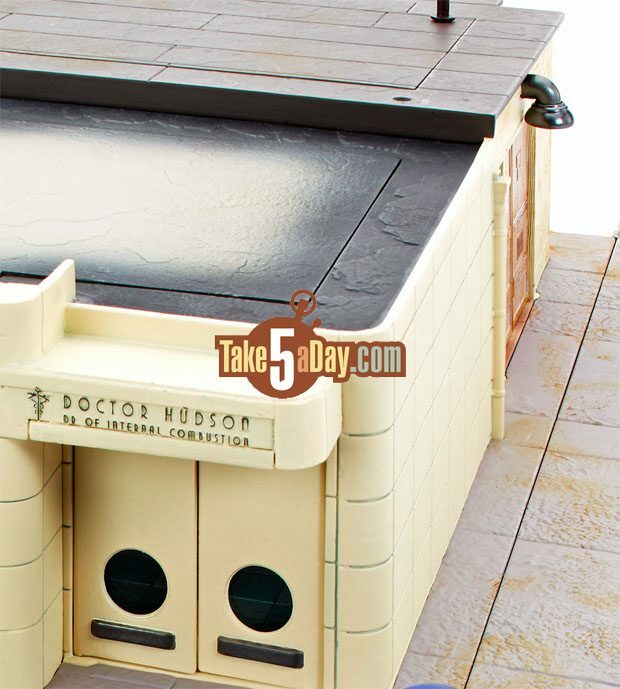 They are shown above in white outline – are they #12 & #13 (as two playsets for either side of the street?). 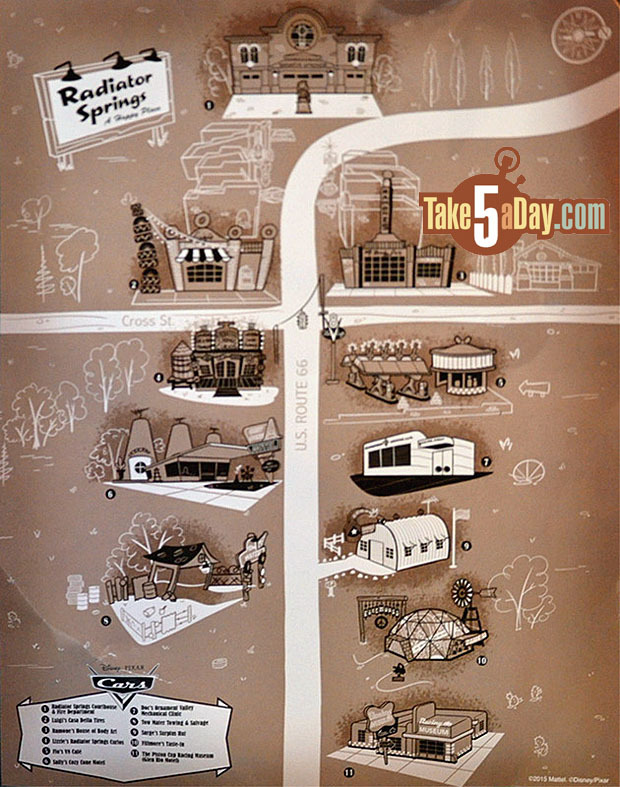 The other house shown in outline is Ramone & Flo’s house (not shown as a prototype in 2015). (The Oil Pan, Lube O Rama, Sparky’s Spark Plugs, Pop ‘n Patch Tire, Miss Piston, Carburetor Emporium Repair, Muddy’s Mudflaps & Mrs. Muffler on one side as one & Wimpy Wipers, Eat, Sparky’s Spark Plugs, The Curb Feeler & Foggy’s Windshield on the other side). Your set up looks like this right? Plus another one for the racers, and one for Propwash Junction? Another fantastic set. Left my order for one set with getmecollectables. Thanks to Eli I am up to date with releases so far.